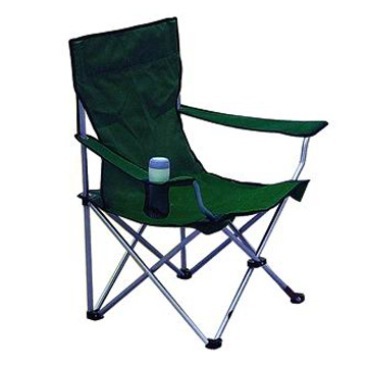 You don’t have to give up comfort while being a camping trip, but it is up to you to choose the most suitable camping chairs. If you are looking for a smart buy, here are some to consider. One of the main advantages of this chair is its affordability, but at the same time it offers comfort and versatility. The armrests and the back support are padded and it is very solid due to the sturdy aluminum frame. The designers have created a curved armrest that offers a more natural and ergonomic feeling. You don’t have to worry even if you are overweight, because the aluminum frame can hold up to 350 pounds. This chair is built to last and so it is great value for the price. 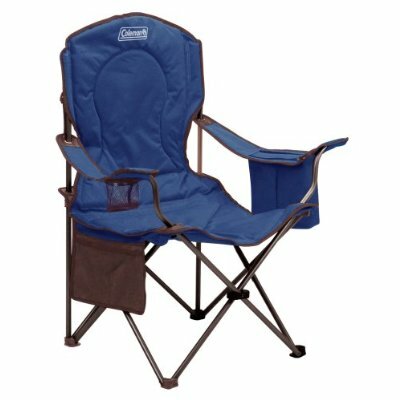 There are different colors that these camping chairs come in, like blue, lime, yellow, and black and one of the best thing about them is that they weigh less than 10 lbs. 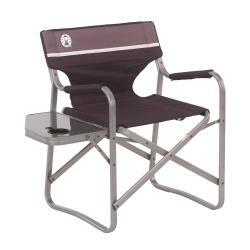 According to the users these chairs work great while being on a camping trip, but you can also take them to the beach. The mesh that it is made of makes the chair lighter and it dries faster than the other chairs. You also have the possibility to set the height of the armrests and there is also a cup holder to hold your drinks. There are some reasons for which you should consider this chair, including the folding food and drink tray and also the comfortable and compact design. It can be considered a classic chair, but it becomes a modern one because of the foldable tray. This way it will be more comfortable to eat while camping. Also it is easy and it takes little time to set up and also to take it down. 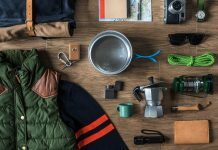 What else could you need while being on a trip, away from home? This is a solid product that comes with PVC fabric. It is great to have in rainy weather and according to the users it is easy to fold and to unfold. 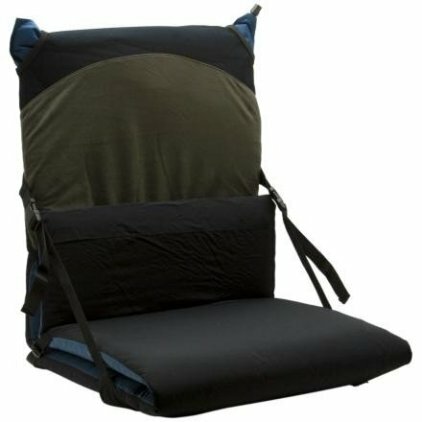 This portable chair is easy to adjust into several different positions that would offer you a comfortable rest. Regarding the armrest you can choose from hand-rubbed wood or cushy foam. The head pillow is adjustable so that the chair can be used by different people and they will still feel comfortable sitting in it. There is a sturdy steel frame that is holding the chair. This is one of the least expensive chairs that you will find. Just as in the case of another chair, the sturdy frame is able to hold up to 350 pounds. 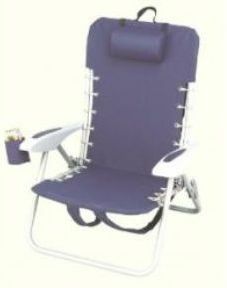 These camping chairs come with dual armrests and there is also a cup holder to add even more comfort to it. 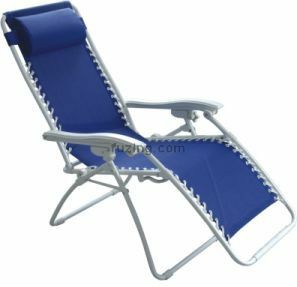 This chair could be considered one of the basic items that you need on a trip, and so it is also important that it can be easily packed to be used on the next trip. In case you are on a low budget, this is the chair to go for. 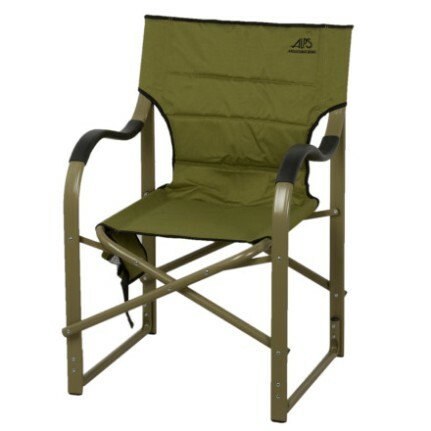 In case you are looking for heavy-duty camping chair, then this is what you have been looking for. It is made of stainless steel and it can hold up to 400 lbs. Still the chair is not that different from all the others that have been presented, but it is most definitely sturdier. The fabric that has been used is heavy-duty polyester and another advantage is that the chair is really versatile. 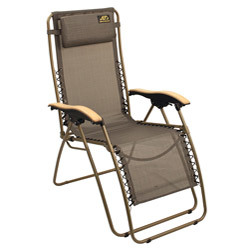 This may be the most durable camping chair that you will find under $50. Now isn’t this the thing that you are looking for? 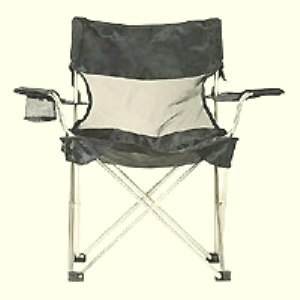 This example of the camping chairs also represents great value while being comfortable and having an appealing design. It is a reclining chair and to make sure that you enjoy the highest level of comfort, there is also a headrest. In many cases the chairs offer comfort for a short period of time, but then they break. This chair comes with sturdy steel enforced support. Nonetheless it might be too expensive for some of the campers and because it is quite large, it could be difficult to pack many of them for the trip. If you are looking for those 2-in-1 products that you could use while camping, this is the one you should really consider. During the day it can be used as a camping chair, but at night you can use it as a sleeping pad. This model comes with a built-in pillow and the straps are adjustable so that every person will find the perfect fit. While some think that it is a bit expensive, you may consider that it is worth it. It is able to hold up to 200 lbs. and it comes with polyester fabric. This might be the perfect chair for using while being on a camping trip, spending time on the beach or at an outdoor concert. The best thing about the chair is that it folds into a backpack that is easy to carry, especially due to the shoulder straps that are adjustable. There are 4 distinct positions that you can fold it into and there is an incorporated pillow for your head. In case you are looking for camping chairs that offer both comfort and affordability, this is the product that you have been looking for. The seat and the back support are padded to offer you the highest level of comfort possible. Still one of the beast features of the chair is the built-in soft cooler that can hold up to four cans and also ice. This way you can have beverages with you and there is no need to have a separate cooler.